Chocolate cake, filled with chocolate mousse and fudge brownies, iced with ganache and topped with brownies and chocolate sauce. 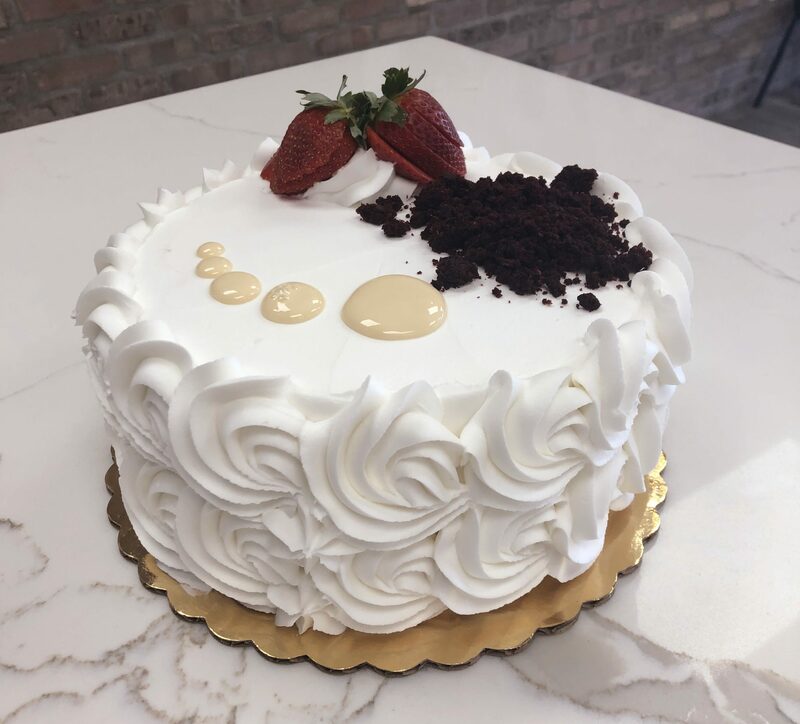 Our super moist red velvet cake with sweet cream cheese filling and fresh strawberries iced with our homemade buttercream. 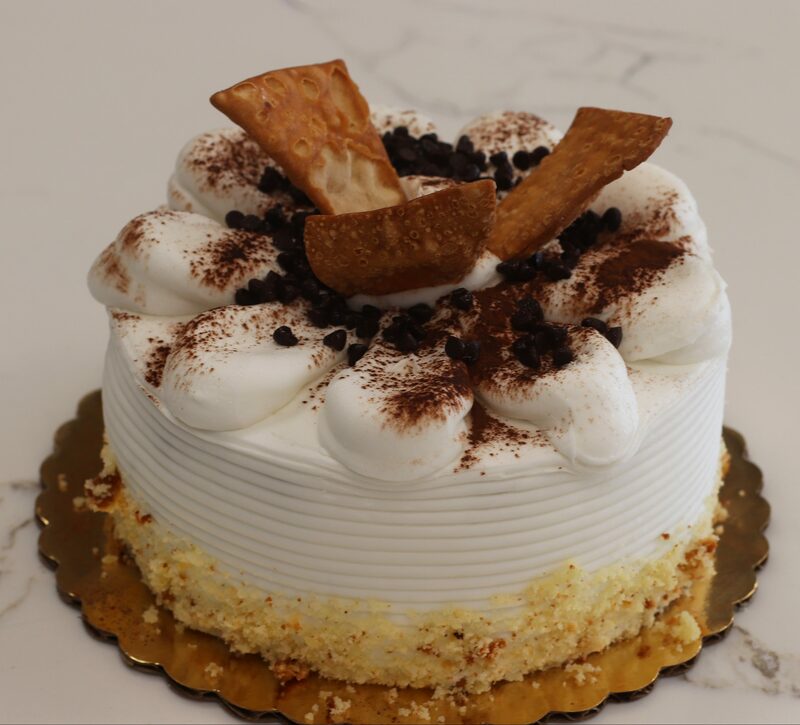 Moist vanilla cake filled with a marshmallow graham cracker bavarian cream, & a layer of ganache, iced with a graham cracker buttercream. 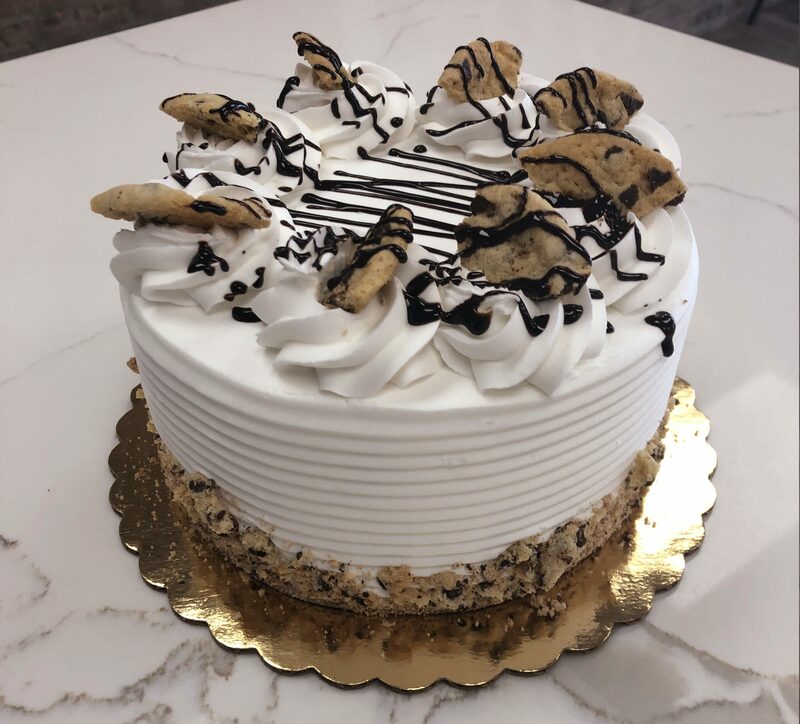 Our homemade cannoli cream layered in between vanilla cake, iced with a sweet cream buttercream. 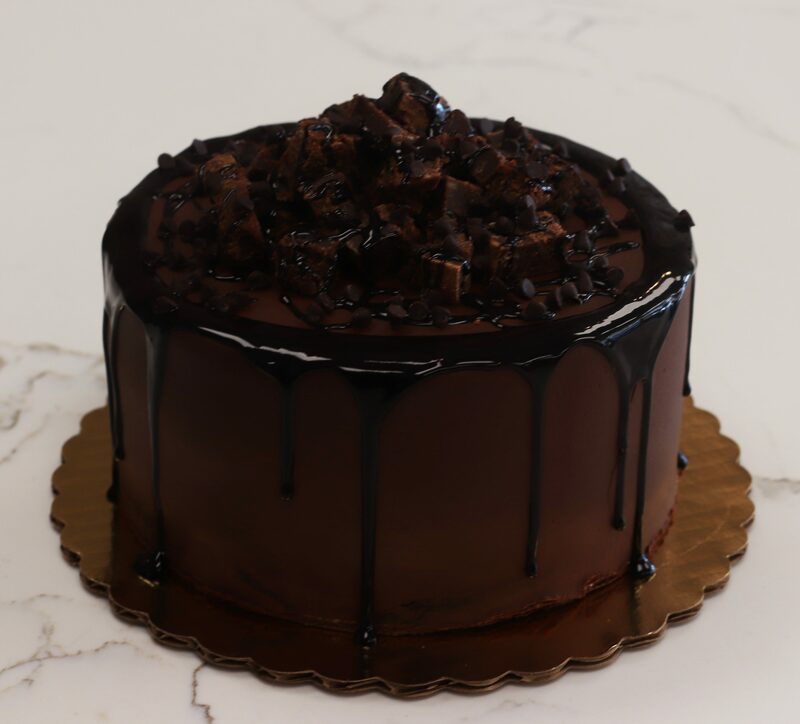 Thick, rich Chocolate filling separated by 3 layers of Chocolate cake, and Iced with Chocolate Ganache. 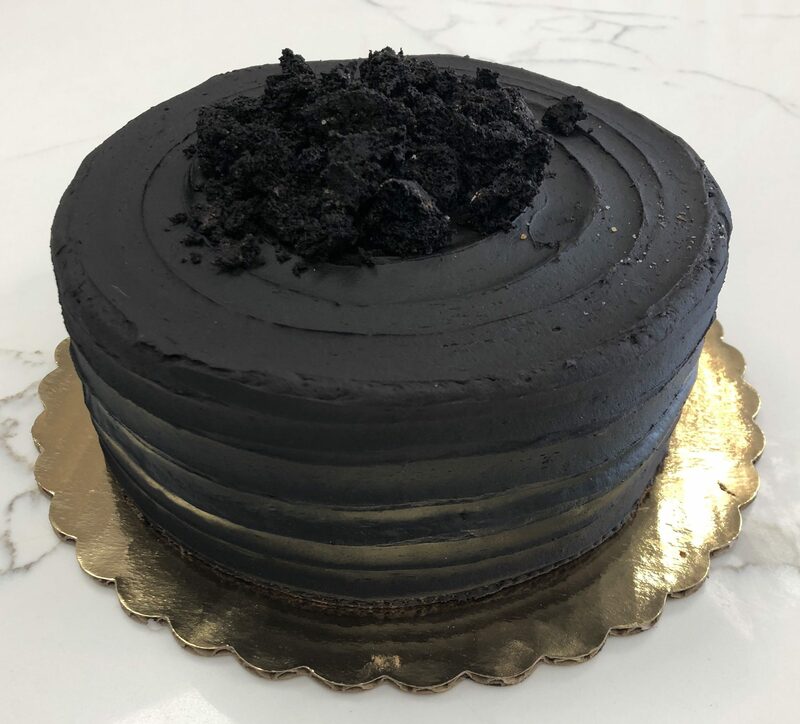 Dark roasted cocoa cake baked with Stout beer, filled with stout chocolate pudding, and iced with a chocolate pudding buttercream. 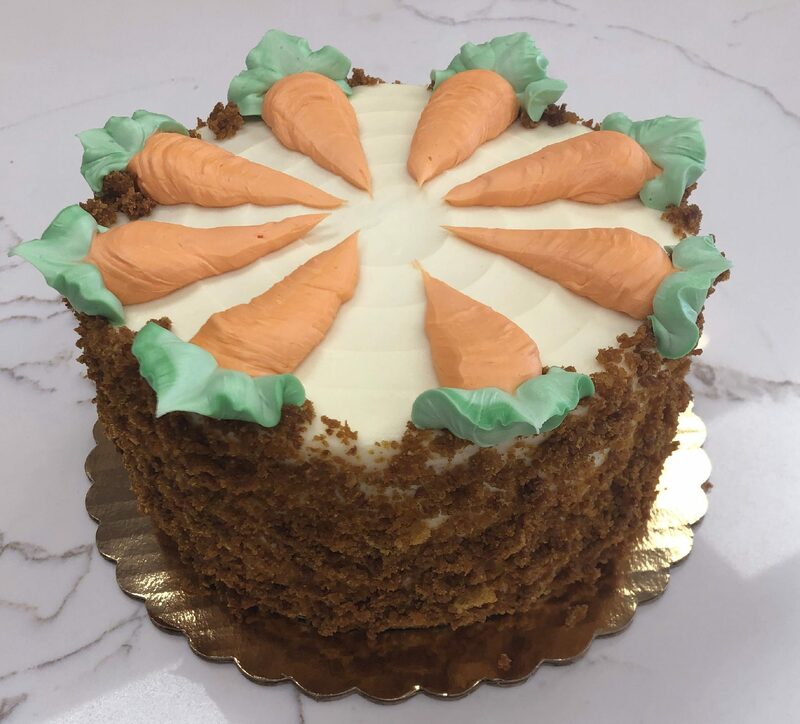 Our moist carrot cake (no nuts or raisins), filled with a cream cheese icing. 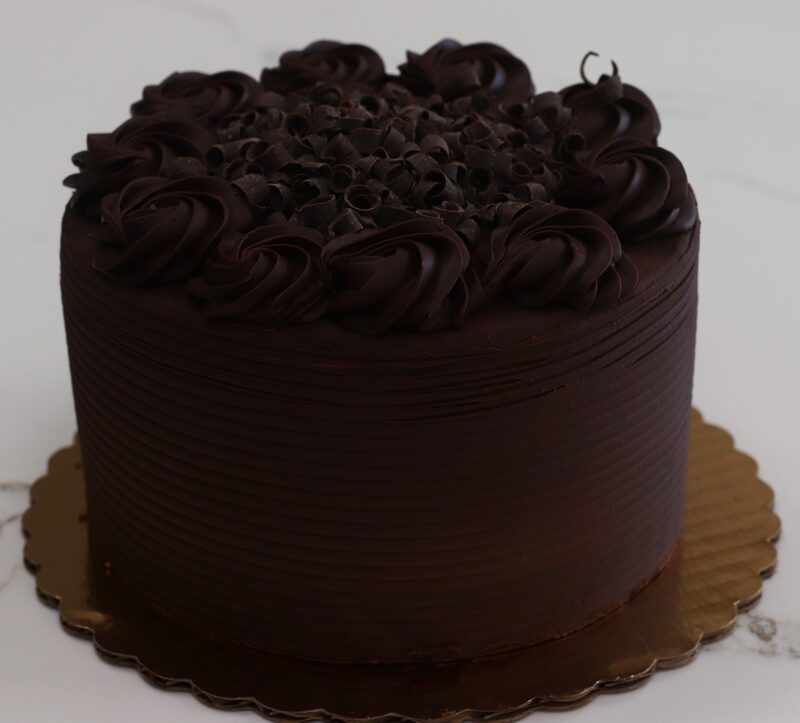 Layers of our vanilla and chocolate cakes, filled with both chocolate mousse and Bavarian cream fillings. 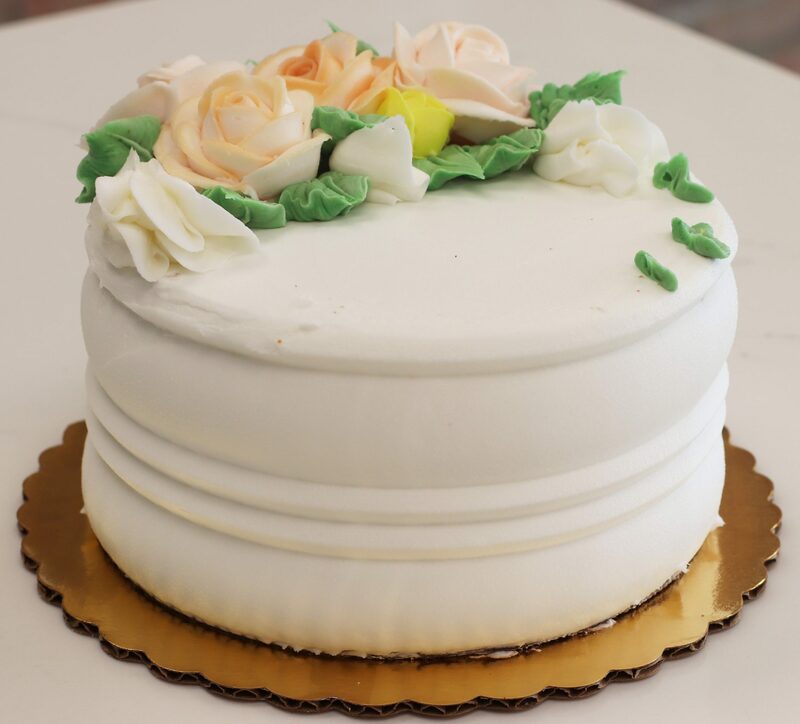 Buttercream icing on the outside. 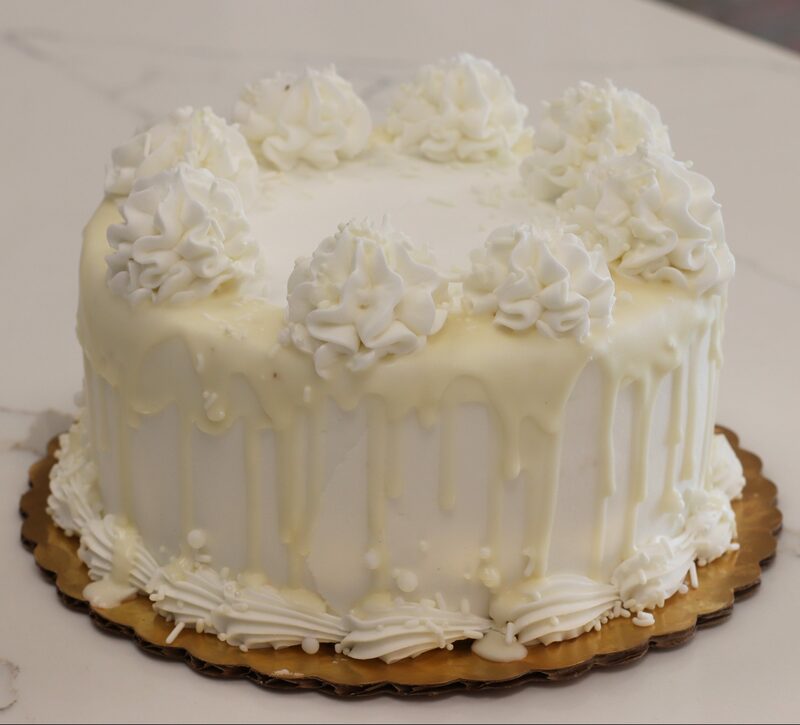 Our popular vanilla cake filled with Bavarian cream, iced in vanilla buttercream and drizzled with a vanilla drip. 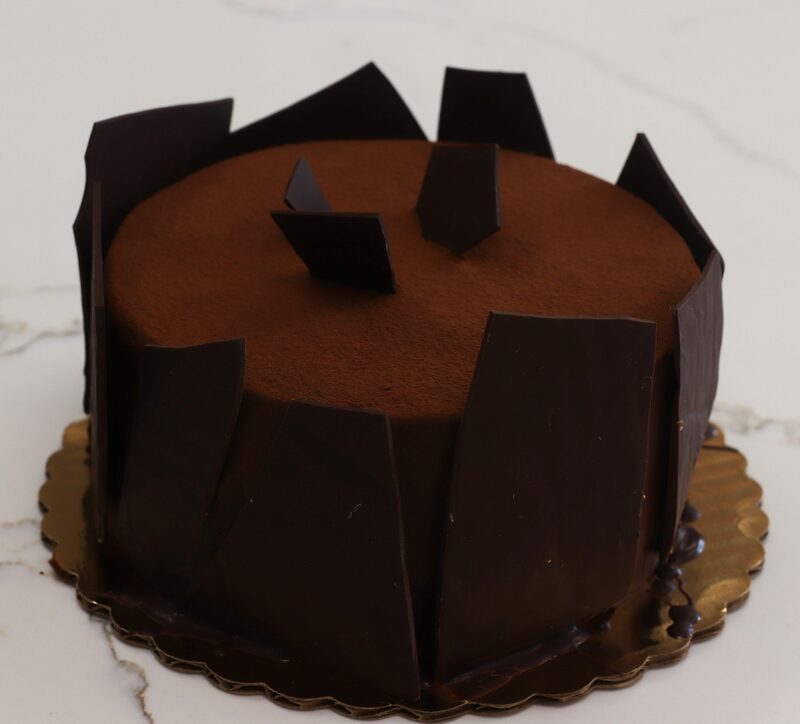 Seven thin layers of our vanilla cake filled with layers of ganache and iced with a chocolate ganache. Topped with more ganache and chocolate shavings. 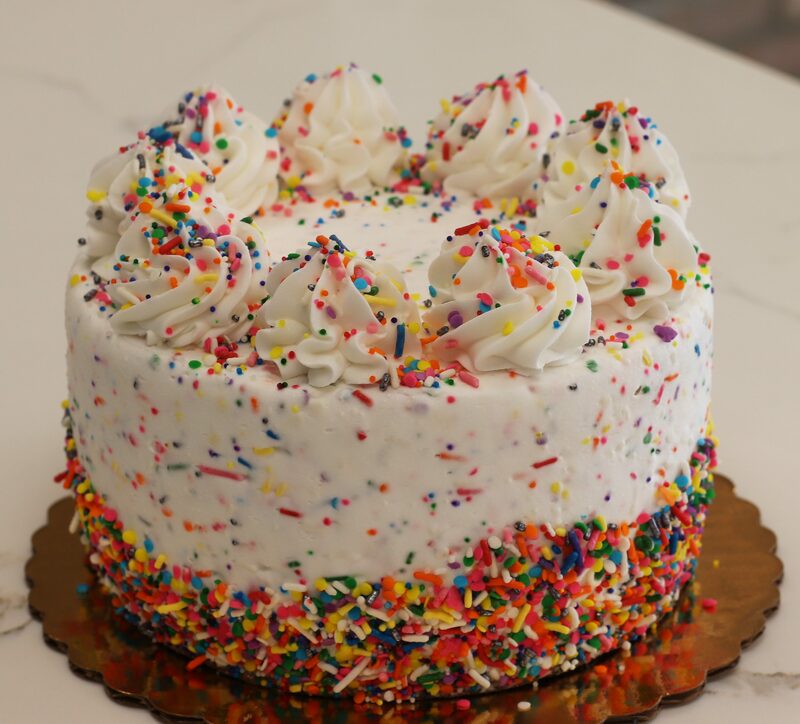 Our playful funfetti cake (vanilla cake with rainbow sprinkles baked right in! ), with funfetti filling (Bavarian cream with rainbow sprinkles) iced with a sprinkle buttercream icing.